No regular events scheduled at this course. muddy in the low areas and around the baskets as expected but not too bad overall. 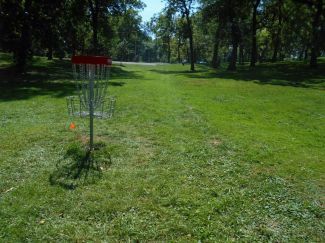 Description: City Park that probably gets the most traffic in Des Moines. Lots of large mature trees, good use of the elevation changes. Local Directions: Exit I-235 on Guthrie Ave. Head east on Guthrie to a left (north) on E 32nd St. into park. Hole #1 will be on your left.